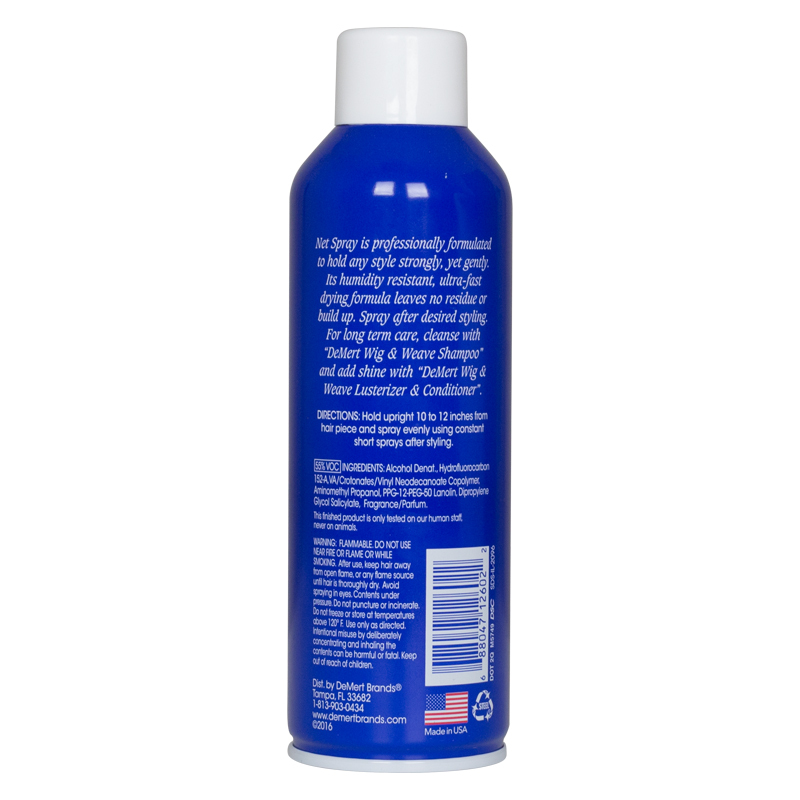 Net Spray is professionally formulated to hold any style strongly, yet gently. 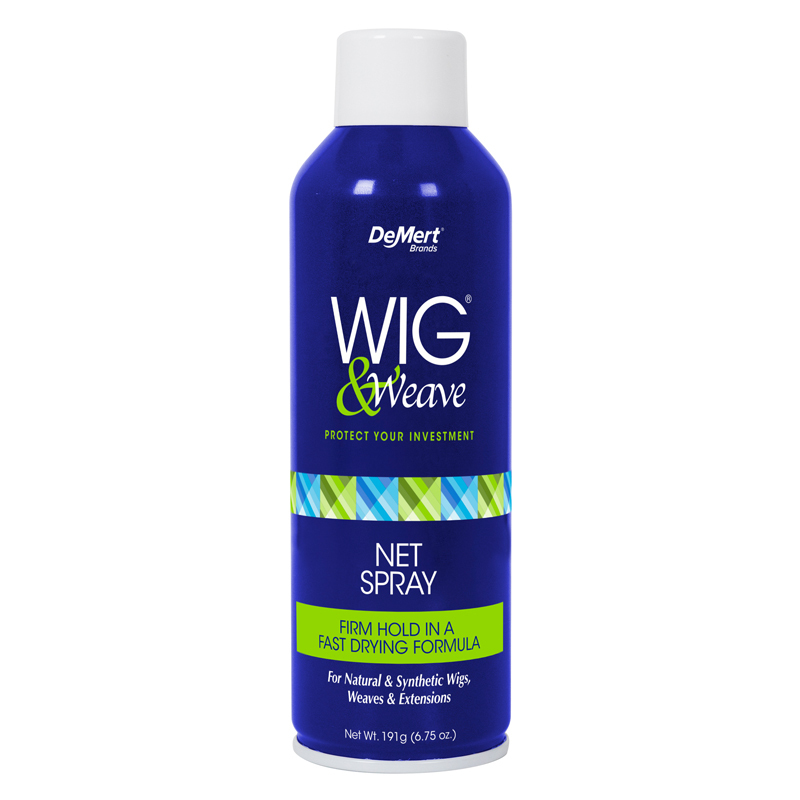 It’s humidity resistant, ultra-fast drying formula leaves no residue or build up. Spray after desired styling. Form long term care, cleanse with “DeMert Wig & Weave Shampoo” and add shine with “DeMert Wig & Weave Lusterizer & Conditioner”.